I can’t believe Wilhelmina is already one. I feel like I blinked and a year went by. She turned one year old last week, and it is absolutely amazing how much she has changed in a year. 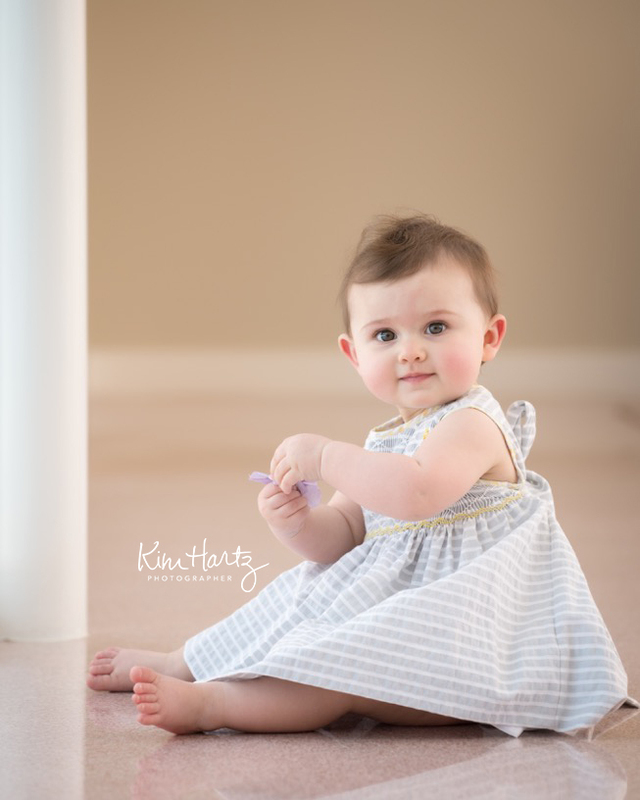 I may have been a bit eager with the camera for her first year, but, in my defense, I am a baby photographer and these memories are so intimate and fleeting. And, before I know it, she’ll be in college. She didn’t have a say in the matter, but I went ahead and enrolled her in my baby plan… hehe. My baby plan includes three sessions within a 13 month period, but I may or may not have photographed her pretty much monthly. It was hard not to when I had such a willing and adorable baby model. Let’s start from the beginning…. I photographed W several times as a newborn. It’s kind of nice to be able to run up to the studio at the ideal photography time. 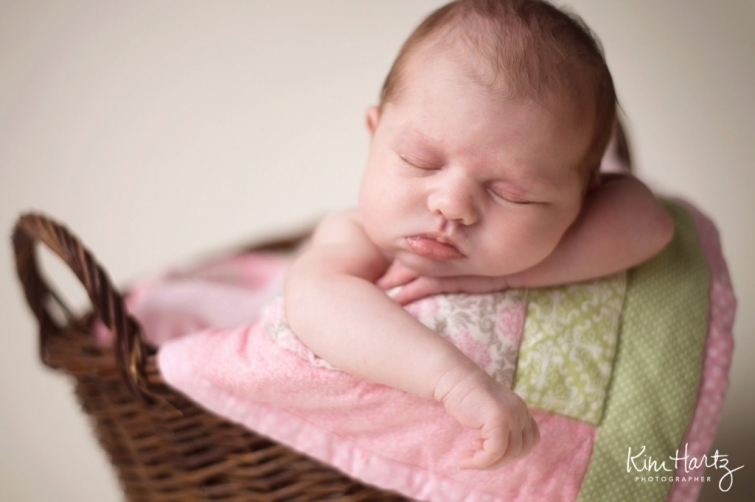 But, it’s not that nice to try to photograph your own newborn right after having her. Especially when you’re fresh off a c-section, but I definitely didn’t want to miss this adorable stage. The next time I usually try to photograph babies is about six months, but I may have snuck in an image at three months too. 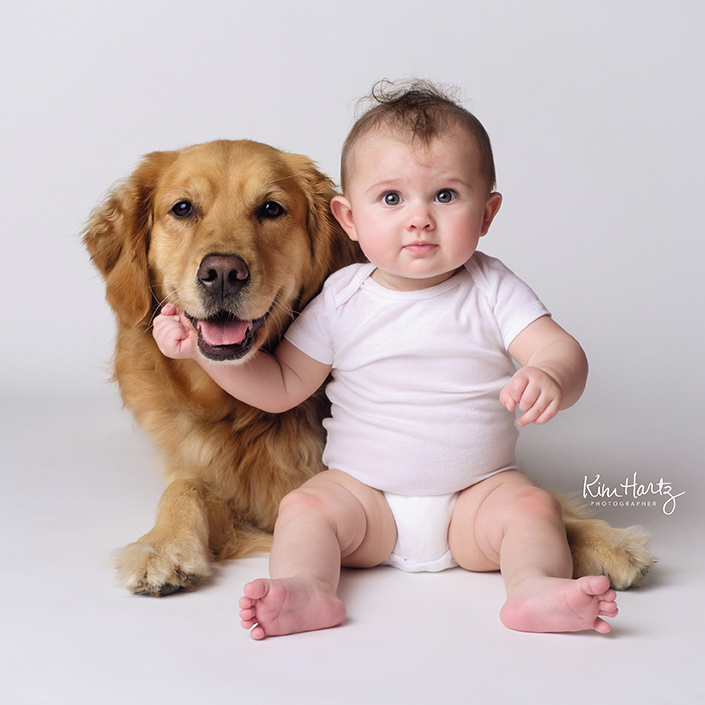 As I mentioned before, I love when I get babies and fur babies together in a session because I believe that just because you have a baby doesn’t mean your fur baby becomes the family pet. I believe they become a big brother or sister, which is exactly what happened to Abby. Here are my two babies, one at six months and one at almost six years. At nine months everything changed. W was totally mobile and into everything. I was so anxious for her to crawl, but man does life change. Right now, she is so close to walking. I can’t wait for it to happen, but I know it will be another game changer for sure! Here is my sweet W for her obligatory one year photo shoot. We tried to do a “first ice cream” to change things up a bit, but W had a bit of a meltdown. Not sure what happened, but she was not having the ice cream. 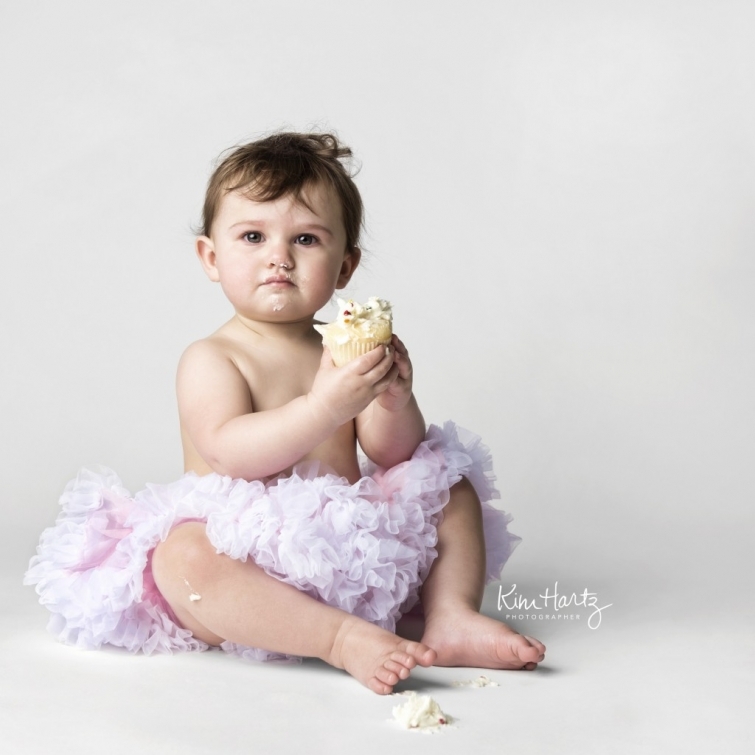 However, she did love the cupcake! Can you believe the changes within the first year? I’m so glad I have all of these memories to hold onto as she gets older, and I’m definitely making a first year album for her (okay it’s really for me)! Don’t let the first year pass you by without documenting some milestones. Trust me, you won’t regret it.